Racers Edge 4-in-1 metric wrench delivers a convenient and compact solution to having the right tool at the flying field or race track. 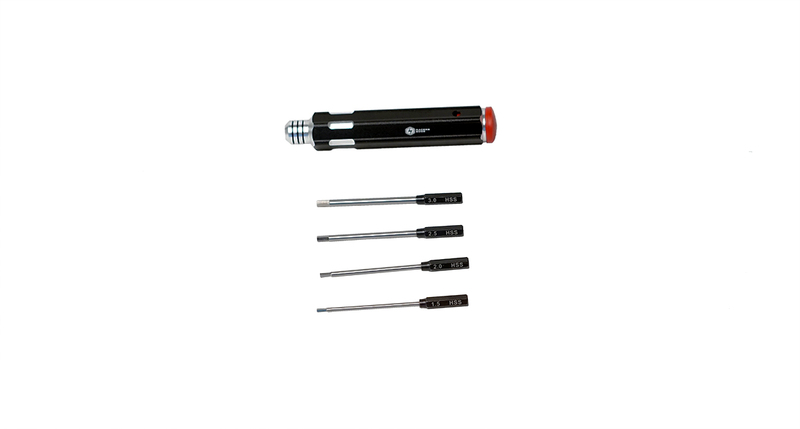 The hollow lightweight aluminum handle houses the four most popular metric wrench tips (1.5, 2.0, 2.5 and 3.0mm) which securely snap into the handle before use. With storage in the handle, tips are always protected and available as needed.